Like us and Celebrator Beer Editor Tom Dalldorf, Nevada Union High students Devin Anderson and Morgan Margulies were in Berkeley this past weekend with some of their classmates and teachers. The two high schoolers and their families, whom we are proud to know, were at the Cal High School Speech and. 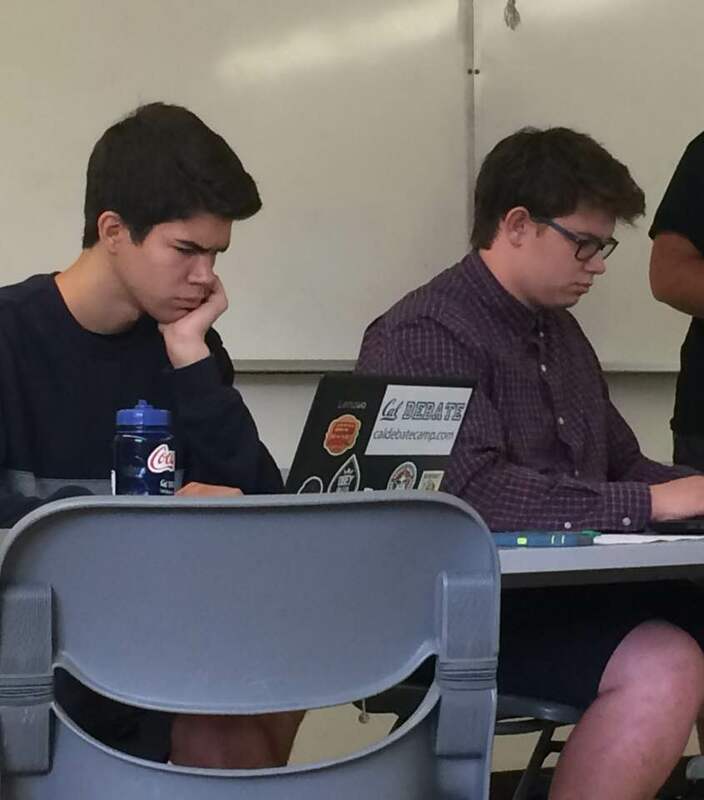 Debate Tournament at UC Berkeley. And Devin and “Mo” received enough bids to advance to the Tournament of Champions, a national debate tournament held at the University of Kentucky on April 28-30. It is considered the most prestigious and competitive American high school debate tournament. “Epic news!” the NU Debate Facebook page read. It marks the first time since 2002 and 2003 that NU teams went to the Tournament of Champions. And it was a “twofer” for “Mo’s” dad Matt Margulies, owner of Matteo’s and a “beer geek.” He attended the Celebrator’s 30th anniversary celebration, along with Tom. Devin’s dad is Michael Anderson, owner of Clientworks. Congratulations to all these families, including debate coach Stephen Goldberg! Morgan is doing it the old fashioned way — he is earning it with talent and intellect. Go Morgan! Congrats to these bright, determined young people. They fill me with hope.